I thought there was a thread on this already but I can't seen to locate it. I guess it could have been on another site tho... Anyway I recently compared 10 "normals" with apertures larger than 2.0 in a 1m res-chart test and thought in might be useful to post up. These were all done on the 1m chart at ISO 100, with AE turned on. WB was set to the chart's white looking through the Canon FD 50/1.4 SSC and left there so the color differences (for white at least) could be compared. I only included the right and left corners cuz that's pretty much mid-area if shot on a FF anyway (not center, but mid). This test obviously won't tell everything about a lens like how sharp it is when focused to infinity or what the bokeh is like, but I guess it's a pretty good comparison for these to show sharpness at one meter. And 1 to 3 meters is nice bust portraiture with a 50mm on the GH1. The chart numbers are to be multiplied by 100 to get LPP (Lines Per Picture). But actually, since I was pulled out just a tad in order to use the box for framing the shots, maybe multiplying by 107 or so would be more accurate. :D I shot them all in 4x3 format on a Linhof tripod, with the 10s timer, using the 15X zoom MF assist - using the right-most red box (above) as the focus point. The Canons seem to be the winners (in this test) but all of those are IMO excellent lenses - except the Rokkor-PF F/1.7 maybe. And it's an awesome looking antique. I have a bunch of other 50's that start at 2.0 or greater which are also very wonderful - like the 55/2.8 Nikkor Micro, the Minolta AF 50/2.8 Marco or some of the Zeiss/Jena Biotars and various Tessar implementations, etc.. I also wanted to test the Voigtlander 50/1.5 but I can't seem to find my adapter. Also try the Rokkor "X" "MD" late model (orange letters, 49mm filter) 50mm f/1.4. I have quite a few Rokkors and this is my sharpest Rokkor in that range. Some of the models are substantially more resistant to age, and so test netter, Even so, you will see big variations in older lenses. Also look at the 50mm macro. The 50mm 1.2 Nikkor is a great lens for center sharpness. I just acquired the lens and been shooting with it. I like it very much, its has its own swirly character, especially the bokeh, which is actually very much in the vein of the Nokton f0.95 wide open (think lemon shaped points of light). Interestingly, if you trace the history of the Revuenon, you will find it was at one point manufactured by Cosina (maybe still is, am not sure). Incidentally, the Revuenon has the same lens elements and build as the Cosina 55mm f1,2, and many people argue they are the same lenses. @DrDave I will be getting my Minolta MD 50 mm 1.7 with a kipon adapter soon. Whats your experience with Minoltas? How do you handle settings on the GH2? I'm a fanboy of the Pentax SMC 1.4. Very nice cinema lens. And real inexpensive. I have the Sigma 50mm f1.4 in Four Thirds mount, which auto-focuses on the GH2 with a Panasonic or Olympus adapter. It's a very nice lens and I agree with the Nikon Rumors review on its remarkable wide-open sharpness and bokeh. With an appropriate hood, the Sigma is also more resistant to lens flare than Nikon, Canon FD, and Konica 50-ish primes I've used, no doubt due to its aspherical lens design. For me, the only drawbacks to the Sigma are its slow auto-focus (common to Four Thirds lenses when used on the GH2) and its lack of a manual aperture ring. Unfortunately, the Nikon version of this lens also lacks an aperture ring, making it unsuitable for use on the GH2. At one occasion (soon) will test them against each other. @kazuo: I am VERY-VERY sceptic about Tomioka because it is a hype started by two German guys few years ago, they had some Tomioka lens to upload on the eBay and generated a bit of sales pitch. Now it grew into a cult - without respect to the fact, the original M42 Tomioka is merely GEOMETRICALLY a 1:1.2 lens. In order to fit into M42 the rear element was cut, making it probably 1:1.4 or even less. 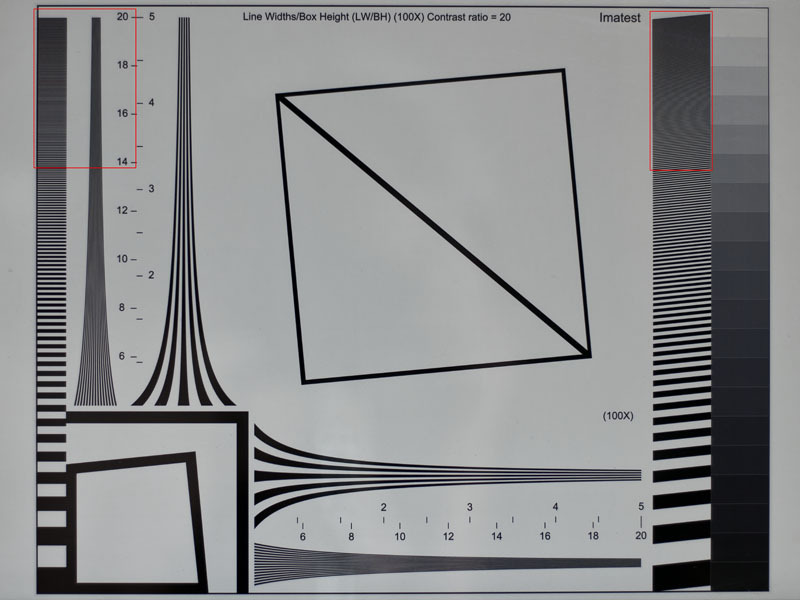 So it's most likely a 1:1.4 (or so) lens from the point of view of light throughput but 1:1.2 geometrically (more difficult to focus properly). This is my guess only so far, want to test a specimen to verify. - in the lens test made in Germany somewhere in 80-s the Yashica ML 1.2 wasn't very exiting (that's the successor of Tomioka) - the Canon SSC and Canon FD was quite better. - it looks for me, that not the tail did wiggle the dog, but the other way. I.e. the Tomioka 1.2 design may came from Cosina originally to Yashica/Tomioka, not the other way. The later Cosina lens still used that design for a while... while Yashica / Contax at one point rather preferred the German way. >>>> Unfortunately, the Nikon version of this lens also lacks an aperture ring, making it unsuitable for use on the GH2. b) get the MFT <--> Nikon "G" adapter (there are some). Like my old radioactive Rokkor MC 58 1.2 nice bokeh and built like a tank. I have the Canon FD 50SSC and its amazing, the Olympus 55 OM Zuiko 1.2 and OM 50mm 1.2 plus the OM 50mm Auto MAcro f2 lenses are also very good - and pretty rare nowadays. were made by micro-Nikkor.... 50mm macro. I did not care much about light, just put the camera next to the keyboard and the light is lousy. Under such conditions Fuji seem to be a better lens.... OK, you do not buy the 1:1.2 for the macro work but you are the judge. Yes, I've tried the Nikon and Canon FD M4/3 lens adapters that have "lock" rings and none of them worked in a satisfactory manner. These rings were intended to be used in stopped-down exposure mode on still cameras. In the open position they simply hold the aperture wide open for focusing. Since they weren't really engineered for precise control of lens aperture, they do not function repeatably or reliably for that purpose. I have no problems with my fotga adapter. In lock position on the adapter the aperture works normally. In open position it remains wide open. It's easy to see if the aperture is fully functional or not. Yes, that's the way it's designed to work, in either fully open or fully locked positions. What I find unreliable is attempting to use the lock ring in intermediate positions to manually adjust the iris of a lens that lacks an aperture ring. In some cases there is not much to do. For instance if you want to create a shift lens, than on the wide side the best you can use is the Sigma 12-24. That works, but on MFT it's equivalent to ca. 24-50 and sometimes you want wider than that. In that field there is nothing anymore what has aperture ring. The closest you can get is to use a "G" lens with adapter on EOS <--> MFT shift adapter. That would be satisfactory... would be such adapter made with brains. Unfortunately it was made by people who never tried how it works. @LPowell: I do not understand, why you did use lock ring on FD... FD lens have nice aperture ring don't they? I did see adapters with extra iris and own aperture ring for EF / EOS (not FD). I wouldn't use any because the iris is not where it was designed, it's a poor man's solution. Proper would be to have an MFT <--> EOS adapter with electronic data transmission for the aperture control. Depending on the transfer protocoll which I am absolutely not familiar with - it could be just not worth to do or maybe not even possible in a small package. So we probably stuck with manual aperture control the way it is in these lock rings. You're right, Canon FD lenses have no need for a "lock" ring on the M4/3 adapter. If someone could translate that sentence into Chinese and broadcast it over eBay it would be greatly appreciated. @Alexauwa The Minolta 50mm 1.7 is one of my favorite alot of the scenes in this video were shot on this lens. Real contrasty and pretty sharp wide open. Not even the old aluminum Jupiter 9 (which shows some yellowing) is radioactive. And, yes, the counter works – you can see basic radioactivity everywhere. Well, at least nothing to be concerned about (and, yes, I opened the alpha filter of my counter).